If you’re reading this blog, you’re obviously interested in modern houses. Perhaps you live in one -- or aspire to. Why? What do you love about modern houses? Is it the walls of glass that provide panoramic views and welcome natural light? The open floor plans and crisp, clean lines? 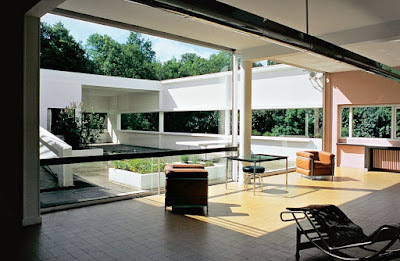 What about outdoor spaces that are as much a part of the house as the indoor spaces? In the spirit of giving credit where it’s due, there is one name every fan of modern houses should know. In fact, we should celebrate his birthday every year! He was born October 6, 1887, in Le Chaux-de-Fonds, Switzerland. Eventually, he would become a French citizen. 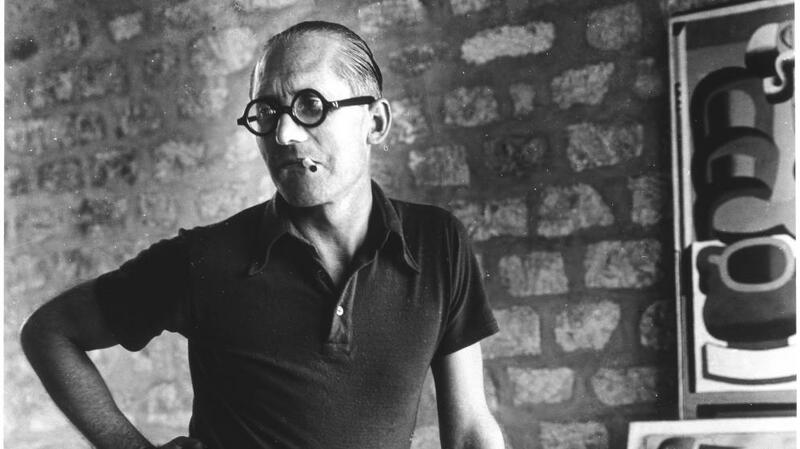 His real name was Charles-Edouard Jeanneret-Griss, but he preferred the pseudonym he adopted when he moved to Paris in 1917: Le Corbusier. Simply “Corbu” to the initiated. 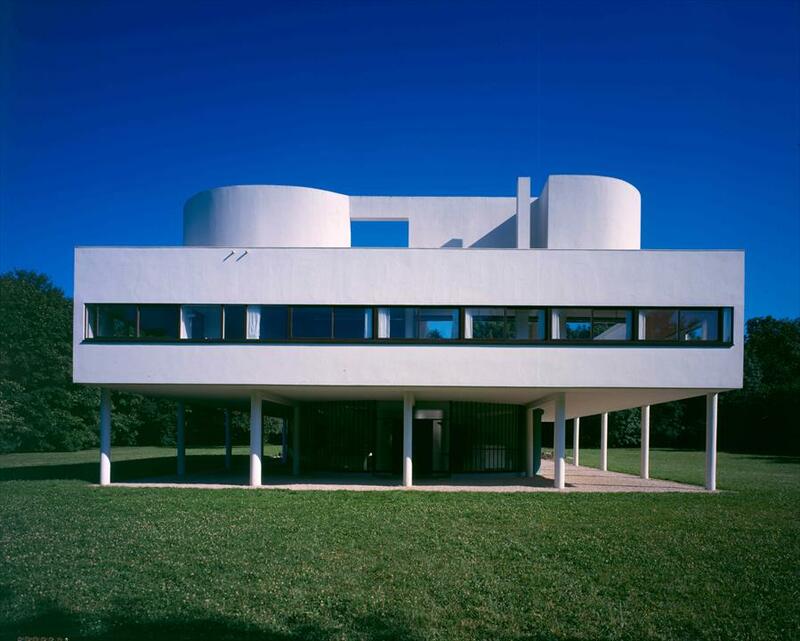 Among other inspired structures he produced to turn architecture on its head, Corbu designed the stunning and now-iconic Villa Savoye (pictured above) on the outskirts of Paris -- an elegant white box made of reinforced concrete that’s poised atop a grid of slender pylons in the midst of a large green lawn surrounded by trees. 1. Pilotis – A grid of reinforced concrete columns that bears the structural load, replacing the typical supporting walls and creating a new aesthetic. Among other results, Pilotis allows a house or building to be raised up on reinforced concrete pylons, which creates free circulation on the ground level for a variety of uses. 2. “The free design of the ground plan,” aka the open floor plan - Structurally, heavy-duty beams and structural columns carry the weight of the floor or roof above, not walls. Aesthetically, open plans provide a sense of spaciousness and reflect a more casual living style, eschewing the need for “formal” spaces. 3. Independent façade- This means that the exterior walls of a house or building are not structural, load-bearing walls. Columns in the interior support the house or building so the façade can be much lighter and more open, or made entirely of glass. And the glazing, or glass, isn’t encumbered by lintels or other structure around it. 4. Horizontal “ribbon” windows – Another revolutionary concept at the time, horizontal windows eliminated vertical sash windows in favor of providing natural light inside evenly across a space. 5. 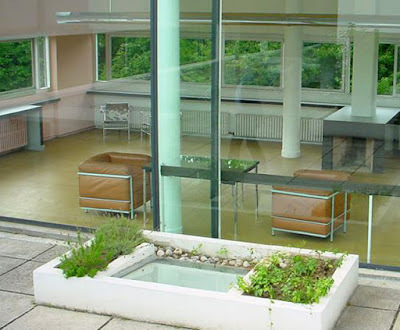 Roof gardens – Because Corbu replaced traditional sloping roofs with flat ones, he used this space to compensate for the portion of the land the house consumes. Note that Corbu’s idea predates sustainable design and green roofs by decades.